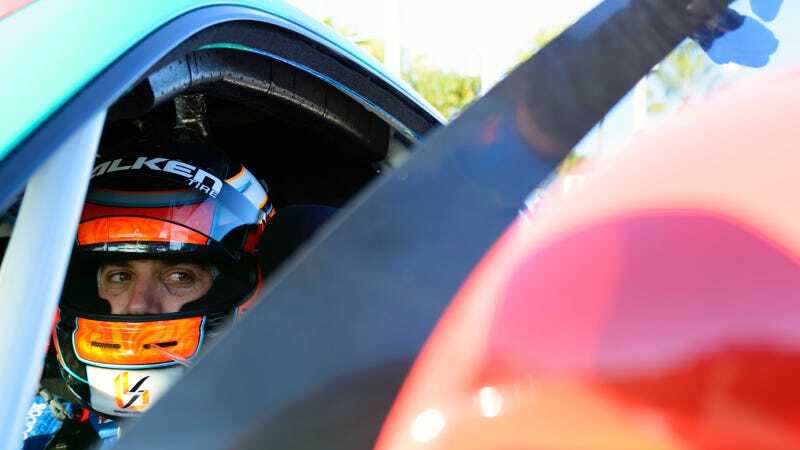 Sellers is one of Falken Tire's factory drivers, coming up through various formula cars and ending up in the TUDOR United Sports Car Championship. He's won Petit Le Mans twice. Falken's car is interesting because it's the only car in TUSC that runs the Falken tires. Everyone else is on Continentals or Michelins. Not that this keeps the car from being competitive. Between Sellers and Porsche driver Patrick Long, the team has two factory drivers. This is Sellers' seventh year with Falken, and even though he has a reputation for being an incredibly nice guy, he's fiercely competitve on the track. Wanna know what it's like to drive the most unique 911 in GTLM? Ask away, starting now!